While Oct. 15 may be Pregnancy and Infant Loss Remembrance Day, those who have suffered the loss of a pregnancy or baby take time throughout the entire month of October to remember their lost children and to spread awareness. Many hopeful parents who turn to American Surrogacy have experienced a miscarriage or infant loss prior to pursuing surrogacy. All of us at American Surrogacy offer our support to those who are remembering a lost pregnancy or infant this month. Remember, your surrogacy specialist is always there for you. She is also happy to connect you with an infertility counselor, should you need a little extra support during this time of the year. Who Observes Pregnancy and Infant Loss Remembrance Day? The United States, Canada, the United Kingdom, Australia, Wales, Norway, Kenya and Italy all honor lost pregnancies and babies on Oct. 15. The day culminates in the Lights of Love International Wave of Light, where candles are lit for an hour in remembrance at 7 p.m. local time across the globe. Anyone who has ever felt the pain of a lost pregnancy from miscarriage, or the loss of an infant due to illness, stillbirth, SIDS and more spend the month of October honoring that loss. 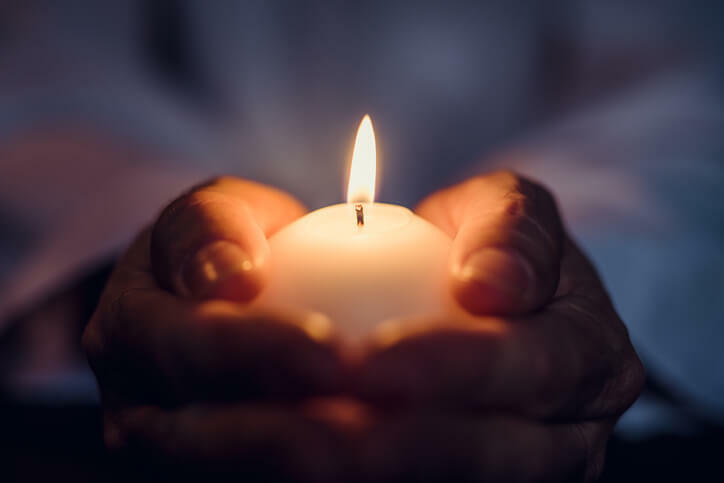 Parents and families of the children who have passed away are those who most commonly observe this month, but their cause is often shared among friends and loved ones. How Many People Are Affected by Miscarriages or Infant Deaths? The number of people who have experienced the loss of a pregnancy or baby may come as a surprise to you. If you yourself have never experienced this, then it’s likely that at least one person in your life has, whether you know it or not. Even if you think you’ve never been affected by this kind of tragedy, someone close to you probably has. An estimated 15 to 20 percent of confirmed pregnancies will end in miscarriage. In 2016, there were 23,161 infant deaths in the U.S. The global infant mortality rate has dramatically decreased from 1990 to 2016, going from about 64.8 deaths per 1,000 live births, to 30.5 deaths per 1,000 live births. 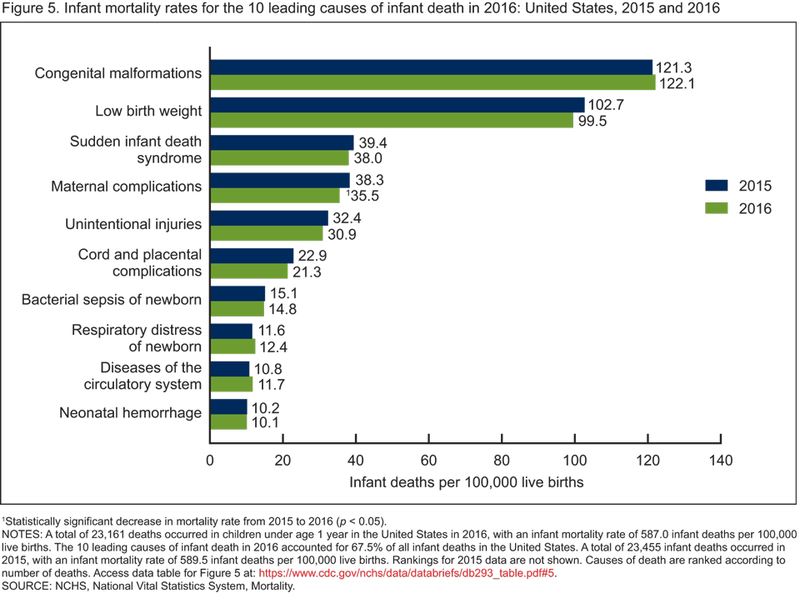 The top three leading causes of death for infants in the U.S. are chromosomal abnormalities and various types of congenital malformations, low birth weight or premature birth-related problems, and SIDS. Most infant deaths in the United States occur within the first 27 days of life. A lack of health care access is one of the highest contributors to infant death, so poorer rural areas are most affected, most commonly among minority ethnic groups. Mississippi is the U.S. state with the highest infant mortality rate, while New Hampshire has the lowest rate. Spread awareness and share stories through social media using the hashtag #PregnancyAndInfantLossRemembranceDay. Join or organize a local gathering for the Lights of Love International Wave of Light and use the hashtag #WaveOfLight. Do something kind for someone who is grieving, like making them a meal or offering to listen or babysit their older children so they can have a night out. Join a pregnancy or infant loss support group, either online or in your area. Wear the pink and blue ribbons that signify Pregnancy and Infant Loss Remembrance Day to raise awareness. Contact your representatives about initiatives that can improve maternity and infant healthcare access and education, so that those who are most at-risk (mothers in the first trimester and babies in their first year of life) have better access to life-saving medical care. Share simple pregnancy and baby care information (about preventing SIDS, prenatal health, etc.) through social media to reach mothers who might not otherwise have access to reliable and accurate healthcare information. Offer your support, and never judge anyone who has lost a child for any reason. Tragically, even with the best medical care, children can leave us just as soon as they come into our lives. A parent’s grief can last a long time, even if their child’s life was a short one. But your stories and shared experiences may help others who are going through similar emotions. It’s important to remember that you’re not alone. There are many people who are remembering lost pregnancies and babies this October. American Surrogacy joins those who are hurting in honoring those who were gone too soon, and we offer our condolences. What are you doing this October to help raise awareness about Pregnancy and Infant Loss Month? Let us know in the comments below. Next Next post: Carrying for Two Couples at Once: Is it Possible?